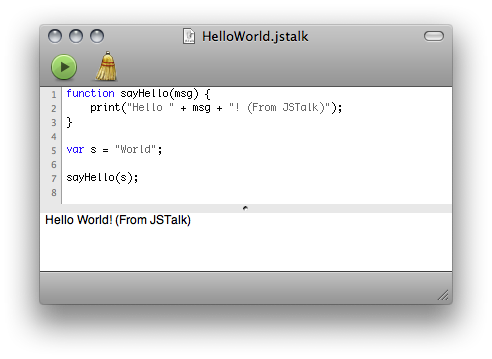 JSTalk’s goal can described like this: JSTalk is to AppleScript, what Cocoa is to Carbon. I know, I know. It’s a lofty, crazy goal. But someone has do try and it doesn’t look like the solution is coming from Apple anytime soon. So I’m keeping it very simple, and very easy. Read more and fork the code on GitHub!